Park hours 9 a.m.-4 p.m.
Magic Springs is proud to offer the 2019 Education in Motion program May 3, 10 & 17! The learning opportunities are endless - from roller coasters to water slides and of course funnel cakes, your students will have an out-of-the-classroom learning experience that will last a life time. Students will have the opportunity to gain a greater understanding of the basics of science, technology, engineering and mathematics (STEM) in a fun and interactive setting. 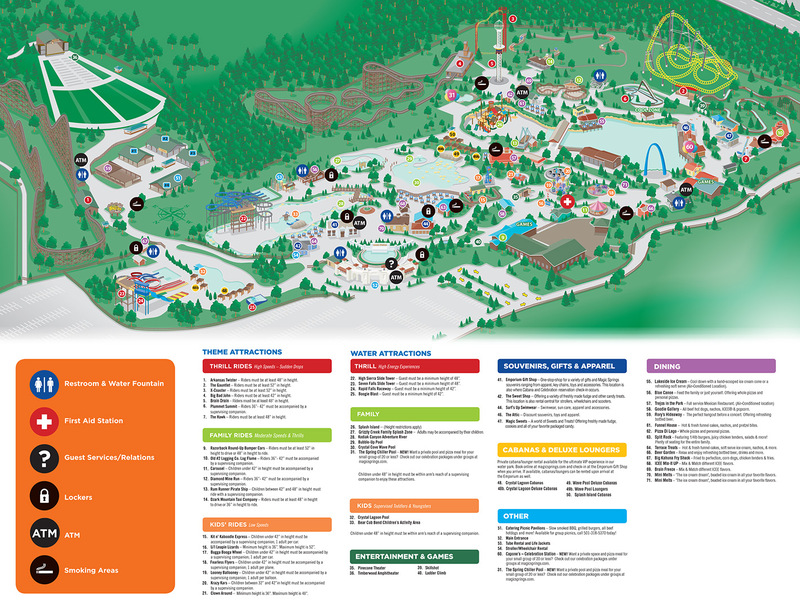 Additionally, exhibitors with interactive educational stations will be set-up throughout the park during each of these three days. Everyone Parks for FREE on EIM days! Cafeteria-style buffet served 11 a.m.-3 p.m.
Must Pre-Order at least one week in advance. Redeem meal ticket at Picnic Pavilions as a group or individually. Quick, easy, delicious and ensures your students eat a well-rounded lunch during their visit without spending time waiting in long lines. Mail/Phone/Fax orders: Call 501.318.5370 (Monday-Friday from 9 a.m.-5 p.m.) or send an email to achapman@magicsprings.com to request an order form by mail, email or fax. Checks, Credit Cards, and Purchase Orders are accepted for mail/phone/fax orders. Cash may be paid upon arrival on day of visit, but tickets will not be received until they are paid in full. *Additional tickets may be purchased at Ticket Windows on the day of your visit for the pre-paid price. Free chaperone tickets are only provided with advanced orders. Tax Exemption: Under Arkansas State Revenue Tax Laws, schools are NOT considered to be tax-exempt institutions for purchases at Magic Springs.